I made five copies of my own body with plastic films and silica gels, and on each copy I painted one kind of imaginary injury (disease, knife wound, crush injury, scald and gun shot wound). 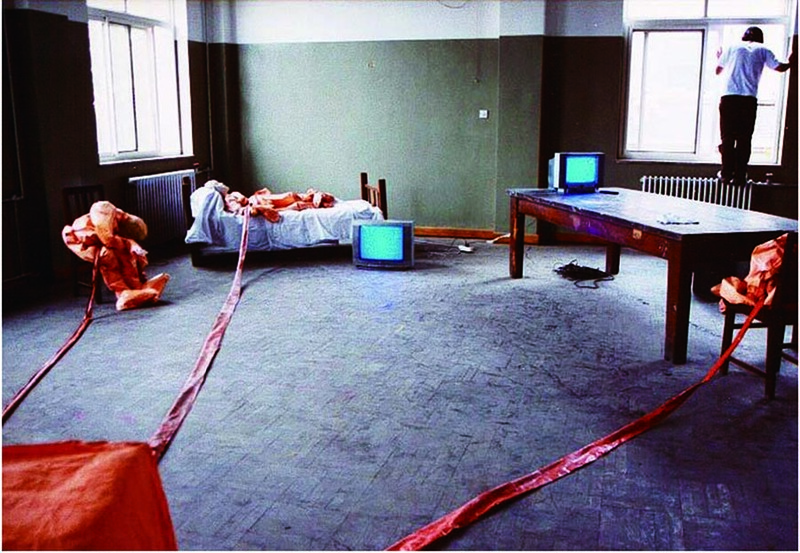 The copies were put in different positions – on a chair, on a floor, on a bed and on the roof of the opposite building. 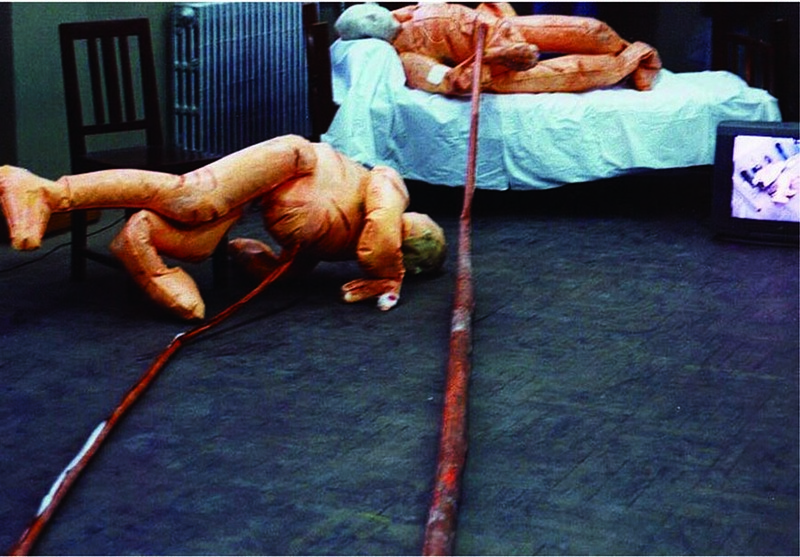 At the beginning of the exhibition, all the “bodies” curled up. 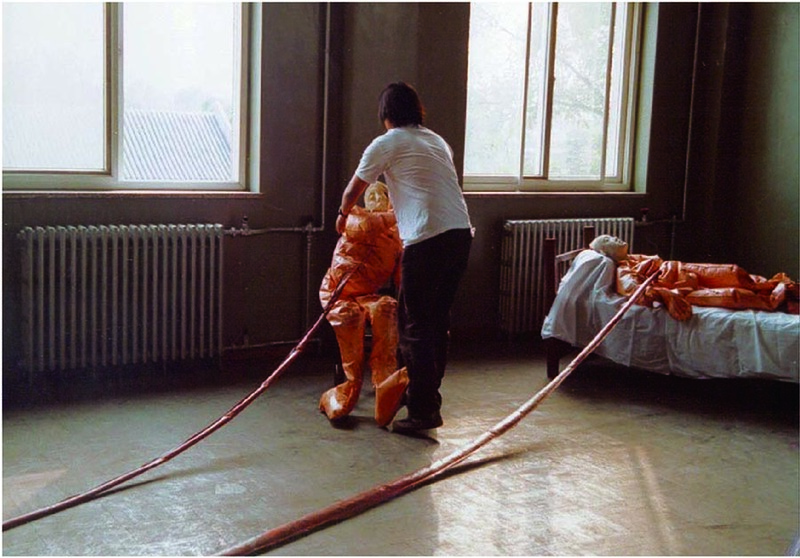 When air was put into the bodies by blowers via the umbilical cords (tubes connecting the air blowers and the fake bodies), the “bodies” started to become bigger and changed original actions and left their original positions. 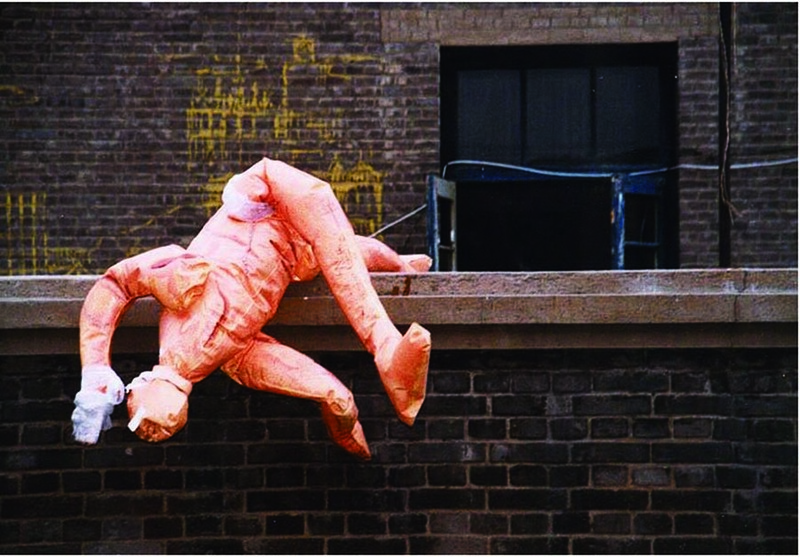 After the “bodies” got stable, I carried one of the “bodies” and throw it out of the window, and the falling of the “body” was shot and transmitted to the television in the exhibition hall. Then the show ended. I and my copies presented my concerns and imaginations about my body, which are external injuries and self-destruction. 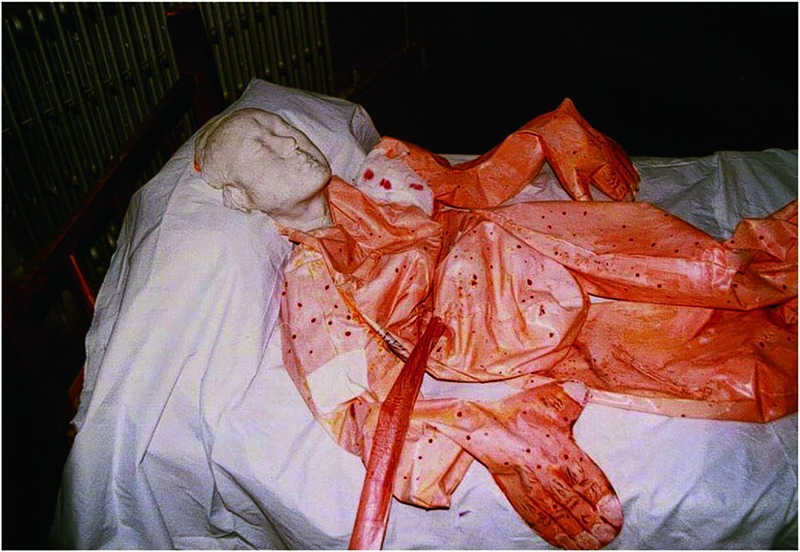 At the very beginning of the project, I intended to use hydrogen to make the fake bodies suspend in the exhibition hall but I failed in put the idea into practice. However, the failure happened to have the same view I hold in discussing the helplessness of our life. So the work is finally entitled Imaginary Flying and Death.